New ute plays to growing demand. Infiniti's new QX80 Signature Edition gives luxury ute buyers a vehicle with all of their must-haves for power, safety and technology. Infiniti is looking to carve out a little bigger spot in the fast-growing luxury utility segment while still catering to the more traditional luxury buyer with a sedan at this year’s Chicago Auto Show. The luxury maker’s 2017 QX80 5.6 Signature Edition reflects the ongoing allure of blinged out sport-utes and crossovers and makers are scrambling to fill that demand. However, the 2017 Q50 3.0t Signature Edition leaves room for more traditional sedan buyers. “Infiniti’s Signature Editions signify something special for our customers and deliver on our promise to provide an unparalleled level of sophistication with exclusive new content,” said Randy Parker, vice president, Infiniti Americas. 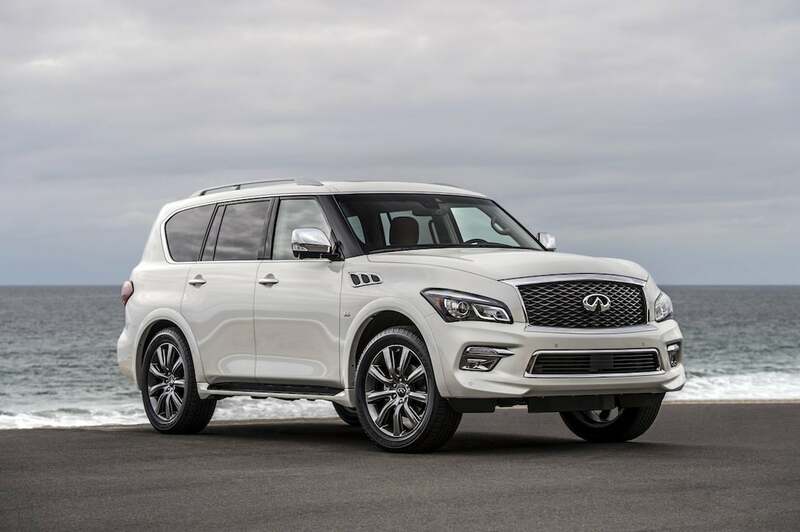 The Infiniti QX80 Signature Edition is back for a second year, showing the steady draw of high-contented SUVs with luxury buyers. The 2017 edition doesn’t disappoint with unique content such as a leather-appointed, high-contrast Saddle Tan interior, chrome outside rearview mirror caps, clear High Mounted Stop Light and dark-finish 22-inch forged aluminum-alloy wheels with 275/50R22 all-season performance tires, the company noted. 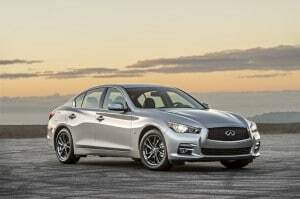 The 2017 Infiniti Q50 Signature Edition comes with a slew of tech updates and an impressive powerplant. The QX80 Signature Edition includes a suite of Infiniti’s popular driver assistance technologies, including Backup Collision Intervention, Blind Spot Warning, Intelligent Cruise Control (Full-Speed Range), Distance Control Assist, Forward Emergency Braking with Pedestrian Detection, Predictive Forward Collision Warning, Blind Spot Intervention, Land Departure Warning and Lane Departure Prevention. The QX80 Signature Edition is available as a seven- or eight-passenger vehicle and is offered in 2WD and 4WD versions, both of which are equipped with an advanced 400-horsepower 5.6-liter DOHC V8 engine featuring Direct Injection Gasoline and VVEL (Variable Valve Event and Lift) technology. QX80 4WD models feature Infiniti All-Mode 4WD with computer-controlled transfer case and three settings: Auto, 4H and 4L. Meanwhile, the new Infiniti Q50 3.0t Signature Edition offers a range of highly desirable features, including a power-sliding tinted glass moonroof, Infiniti InTouch Navigation with 3D building graphics, Infiniti InTouch Services including six months of safety, security and convenience services, SiriusXM Traffic, Voice Recognition for navigation functions, Navi Synchronized Adaptive Shift Control, 60/40 split-fold rear seat, and 17-inch bright finish aluminum-alloy wheels with all-season l run-flat tires. 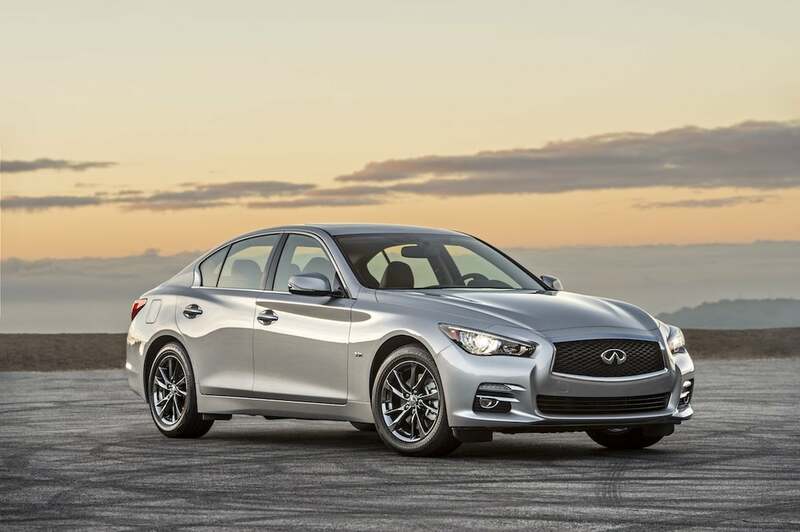 “Building on the Q50’s, award-winning performance and engineering excellence, we saw an opportunity to combine our sport sedan’s most popular features with even more distinguished style,” said Parker. This entry was posted on Wednesday, February 8th, 2017 at and is filed under Automobiles. You can follow any responses to this entry through the RSS 2.0 feed. Both comments and pings are currently closed.